To early European explorers, the western edge of North America must have been an overwhelming place to visit. We humans navigate by landmarks, known places with names; explorers applied names to many places, making them easier to identify on maps. At some point, it must have been really overwhelming to provide names to so many different places, or perhaps they lacked the creativity to do so; thus, we ended up with names like Elkhorn South Mountain. The name itself isn’t an issue, except that Elkhorn South is immediately south of the much grander Elkhorn Mountain, and shouldn’t be confused with the south peak of Elkhorn Mountain, which is completely different. 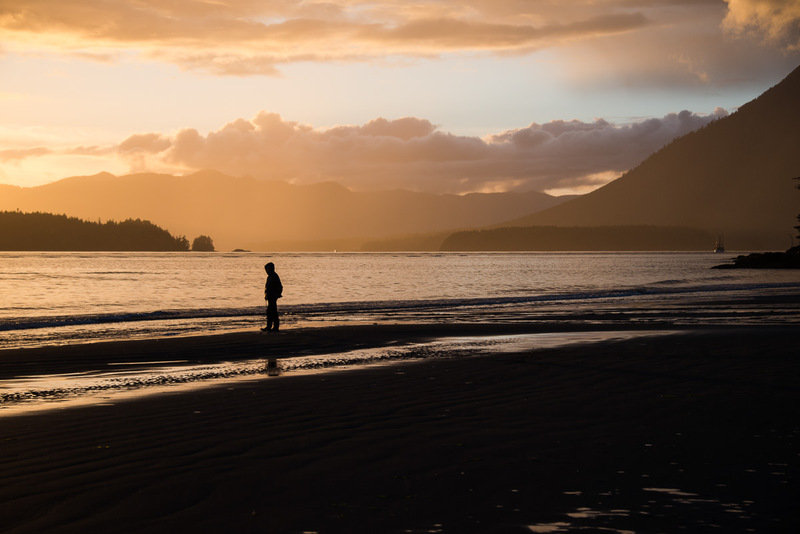 Even the name Vancouver Island has caused issues for travelers who mistake the location of either the island, or the city of Vancouver. But this post isn’t about Vancouver Island’s haphazard naming structures – it’s about Meares Island. 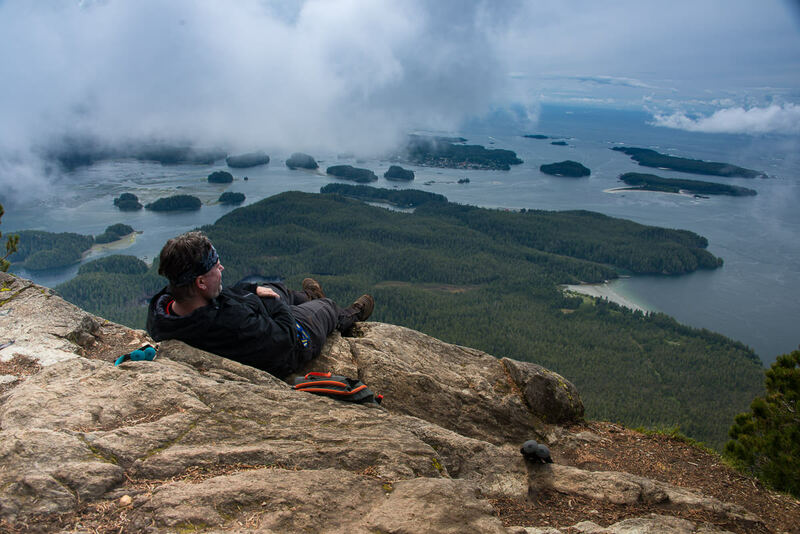 Anyone who visits Tofino and looks out into the Tofino Inlet has seen Meares Island. They may have wondered what island they were looking at, and possibly even learned its name; but it’s a name that likely meant nothing to them without the diverse history that makes this location significant. 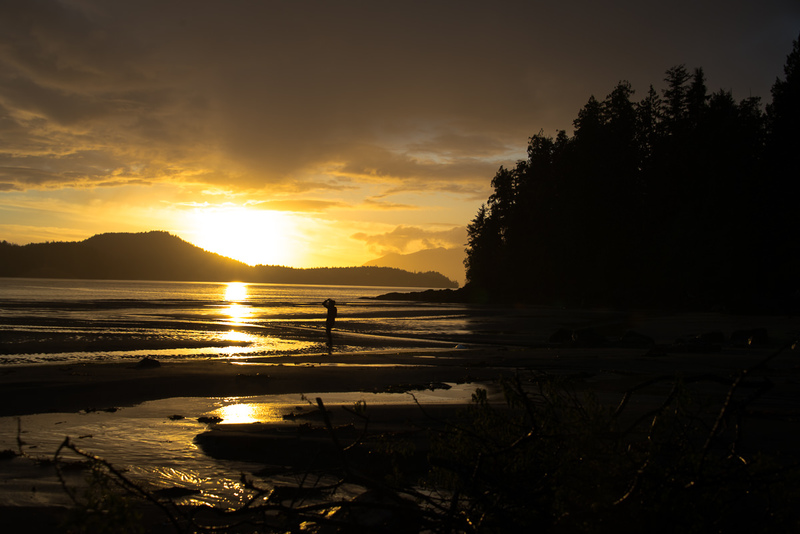 Meares Island is home to the Tla-o-qui-aht, people of the Nuu-chah-nulth Nation. From the eastern shores of Tofino, the colourful buildings mark the location of Opisaht, a long-standing village site that has been inhabited for more than five thousand years, according to oral history and carbon dating of midden heaps. Nearby, in 1792, the crew of the Columbia Rediviva built Fort Defiant, a fur-trading post that ultimately set cannons on the village. Further, Meares Island also had an Indian Residential school (Christie Indian Residential School) that operated until 1983 (I’m hoping that you already know about the cultural genocide that took place in these locations). 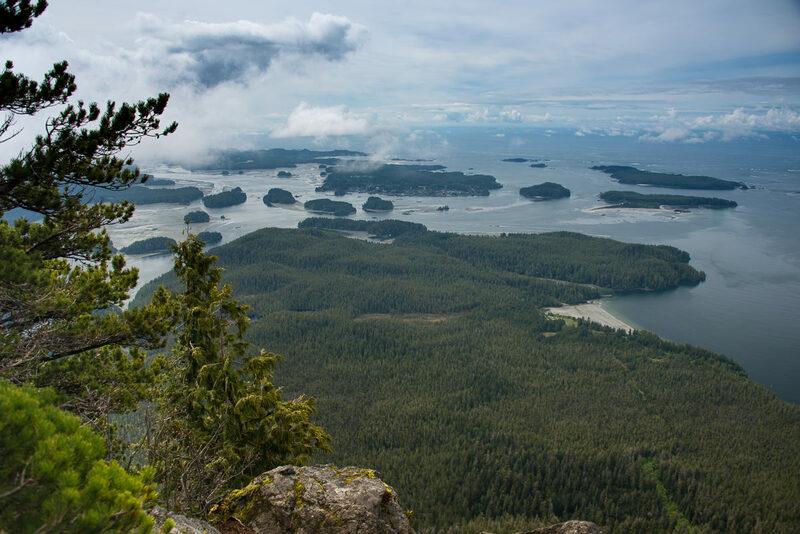 And if those weren’t enough reasons for you to know the name of the island, here is one more: some consider Meares Island to be the birth of the environmental movement on Vancouver Island. 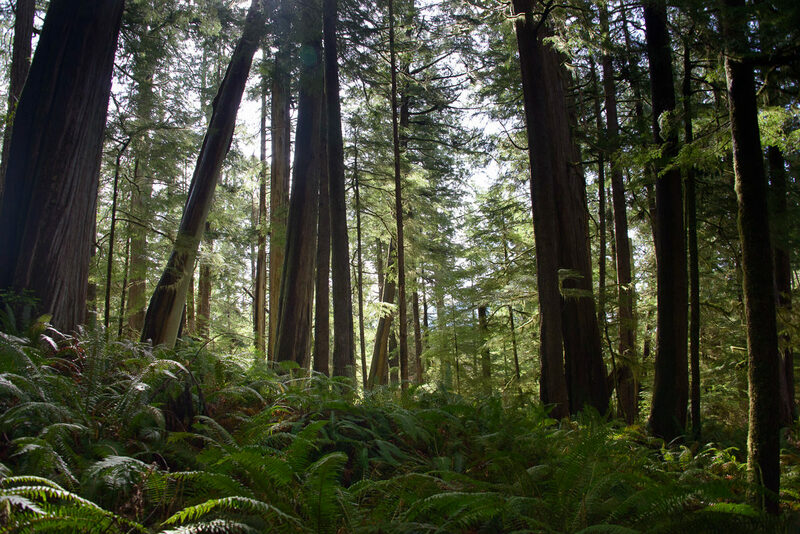 Prior to 1984 Macmillan Bloedel had obtained a license to log Meares Island, but when they started putting a plan in play Mac & Blo was met by a group of protestors that included environmentalists and First Nations people (story here). The eventual outcome was a treaty that still protects the timber on the island. Additionally, the Clayoquot Sound protest of the 1990s likely grew out of the attention given to the region at this time. Against this varied history, my own reason to visit the island was to climb Lone Cone, a peak that came to my attention when I started my Island Alpine Quest. This wasn’t my first trip to the island. 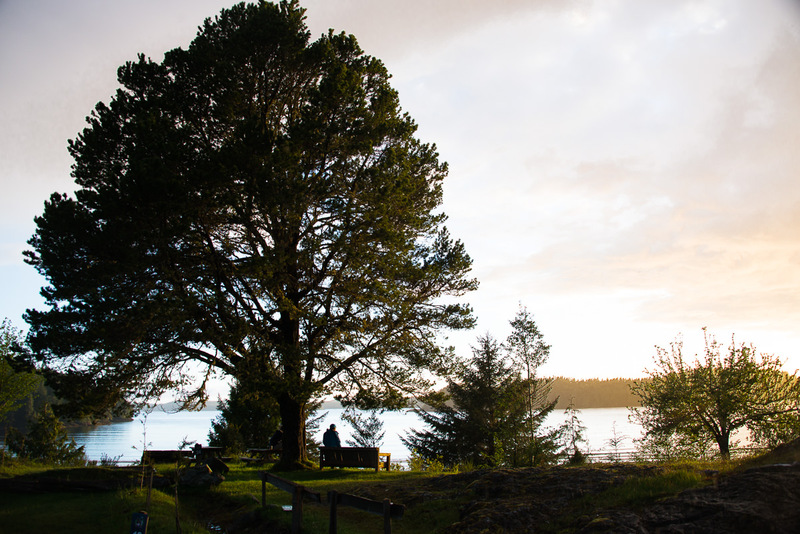 Back in 2013, I was there with two friends, camping in a cabin found in a cove on the eastern shore of Meares Island. It’s worth noting that the cabin has two plaques with photographs lacquered on them, depicting the people who lived in the cabin. Since that time, I have wanted to hike more of the island, but never found the time to do it. Jumping forward to 2017, I was chatting online with a friend when John Young posted a club trip to the island. The goal was to camp, hike Lone Cone Mountain, and walk around the Big Cedar Loop. I immediately messaged Michael, as the island has been of interest to both of us since our 2013 trip (an adventure that really deserves its own story). On that trip, we hiked a short section of a rough trail, but I wasn’t prepared for hiking because I was on a kayaking trip. We were keen on the idea of returning to the island. We met at the dock as a group. 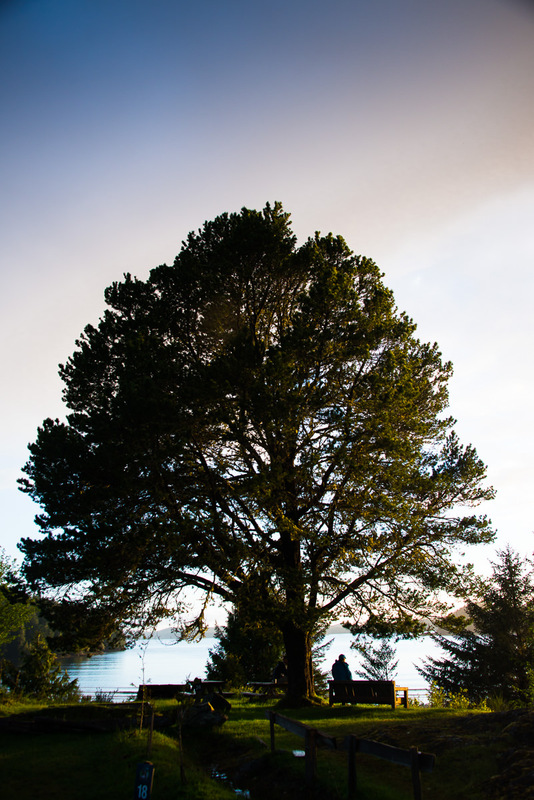 We had arranged transit through the Meares Island Campground – a surprisingly easy arrangement! – and the boat ride was a pleasant and quick ten minutes. 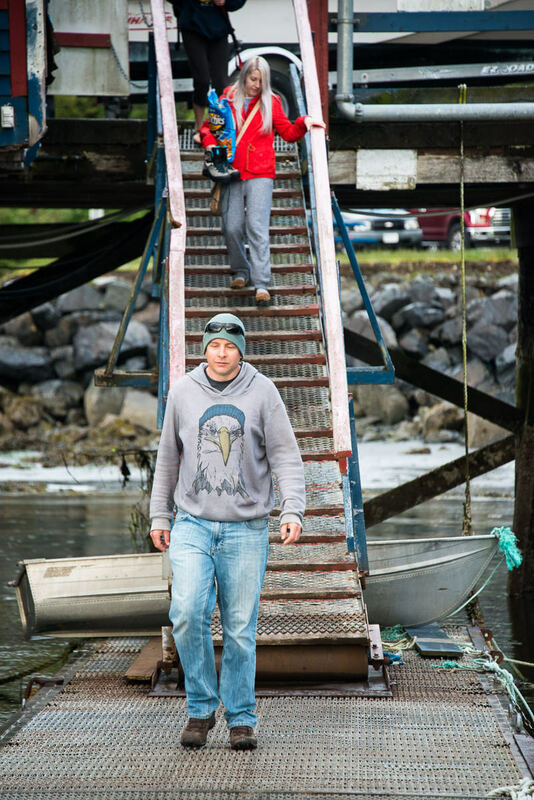 When we arrived at the dock, the Meares Island caretaker met us there with a truck. They took all our bags and backpacks and drove them to the campsite. I had no idea what we were in for. When we arrived at the campsite, a five-minute walk from the dock, we were confronted with the reality of the situation. I looked around and scratched my head; I was so confused. I had expected to find a few campsites with tent pads, at most a few buildings for picnics. Instead, we found shower stalls, sinks, bathrooms, a games lounge, kayak and mountain bike rentals, and a hot tub. 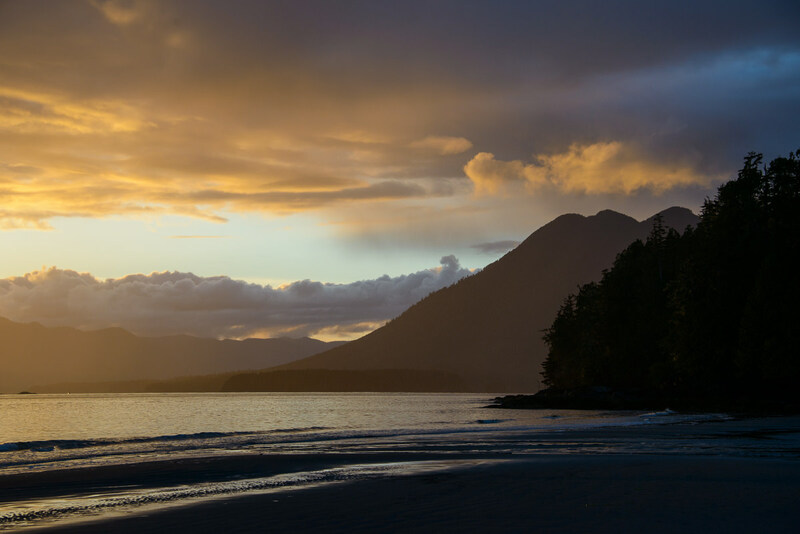 Even more impressive than all that is the location: the campsites offer oceanfront views on one side, and mountains on the other. We set up camp in a hurry, and in a few minutes we were walking the gorgeous sandy beach. The late evening sun hung low on the horizon; the sky was ablaze with oranges and deep purples. The bright light reflected off the wet sand, and the ripples on the ocean caught the colour that highlighted undulating patterns of light across the surface. 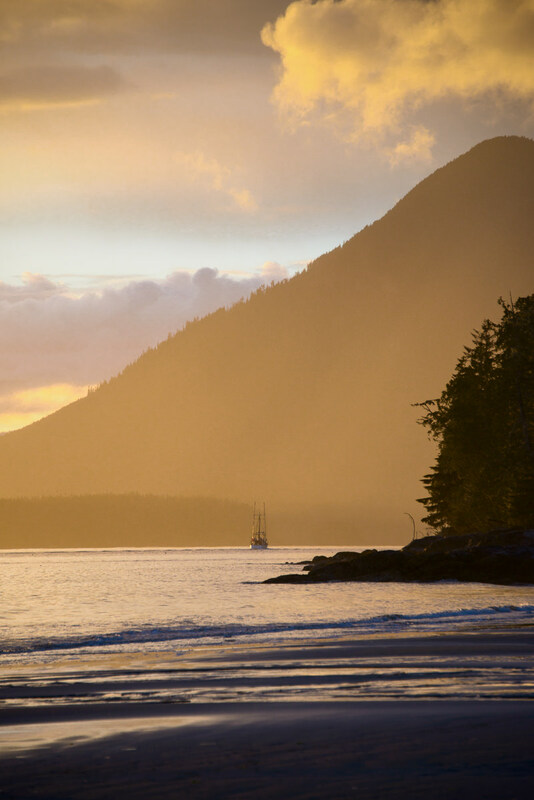 The ocean mists caught the light, and as we looked across to the nearby islands, they were bathed in deep orange hues. It was a great place to be! Catface Mountain in the late evening sun. The next morning, the eleven hikers stood prepared with daypacks and hiking poles for the trip up Lone Cone. The well-marked trail is only a few minutes from the office. 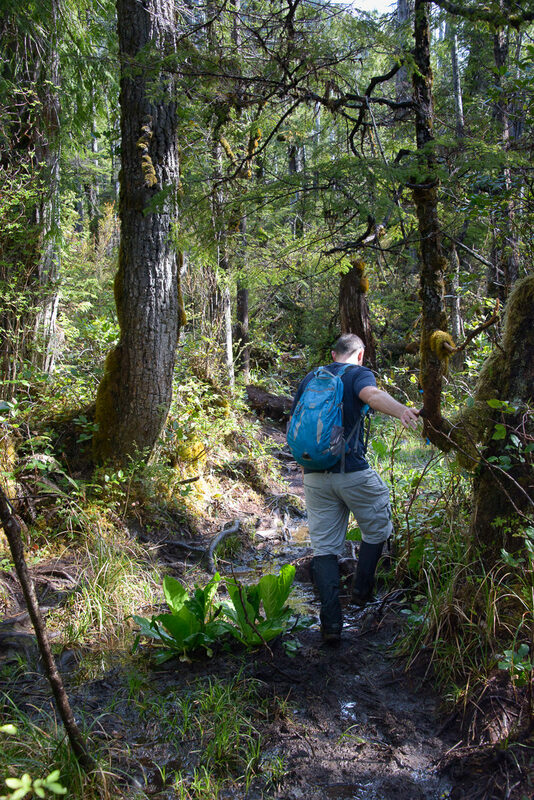 The trail traverses flat land below 100 metres before it reaches the base of Lone Cone, and winds through the typical West Coast rainforest, complete with log hops, mud bogs, and large trees to duck under. I’ll describe the conditions as, it could be worse. 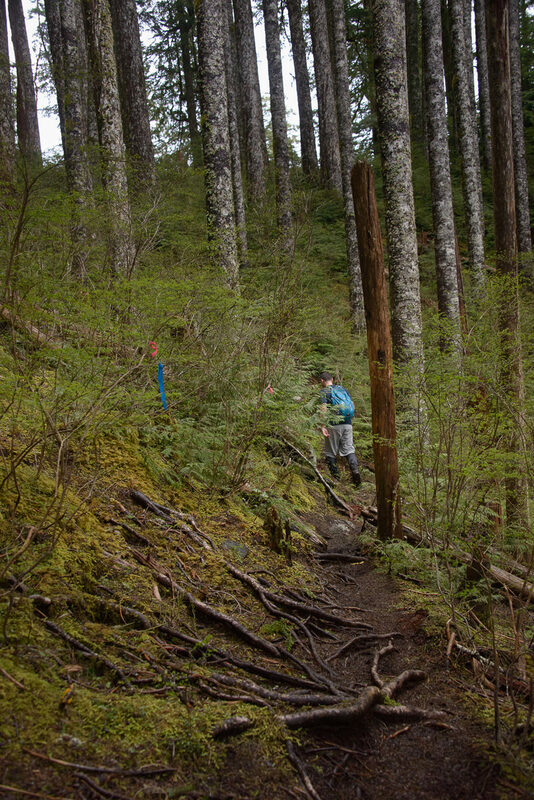 Perhaps some will disagree with me, but at worst the mud was only four inches deep; though, at times the trail was a long swath of the dark rich stuff. To be sure, we all finished the hike with dirty boots, but no one had wet shoes….well, except for those who had worn sneakers. At the end of the flat, the trail starts to climb. It twists along the south face of Lone Cone, leading up through the different climatic zones. It’s a steep but easy route that has a lot of traffic. Michael and I hustled up the hill, driven by the worry that we would lose the view to the clouds that looked like they were about to roll in. Michael and I were the first to arrive on the summit. We sat down to enjoy our lunch, with the view splayed out below us. We could see Tofino in the distance, but we were denied views to the southeast. The thick cloud covered Long Beach and obliterated any hope of seeing the Broken Group Islands. We sat for an hour before everyone in the group made it to the summit. 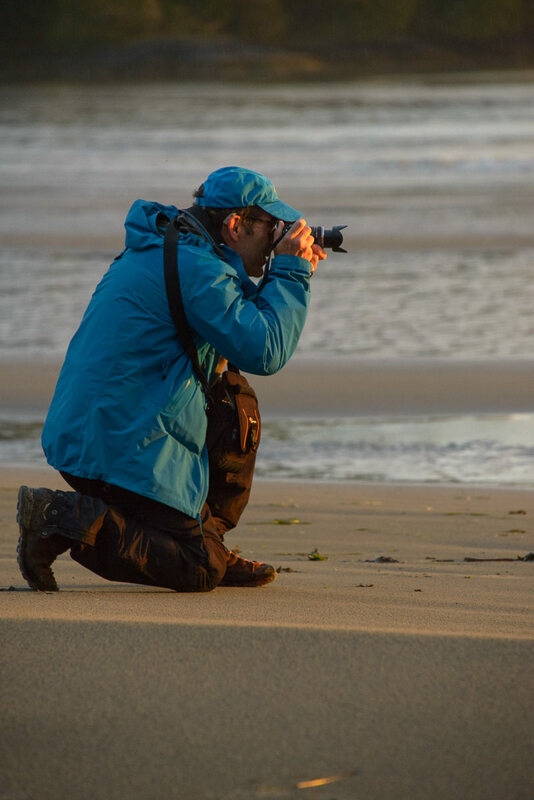 In that time we watched the inlet, which was a broad intertidal mudflat when we arrived, fill with seawater. By the time the last members of our group arrived, it was nearly filled with water. The return trip followed the same route, but it was on the downhill that I noted most of the greatest features of this trail. Walking down the valley, we could see deep into the forest. The bright light of the day penetrated the heavy canopy, casting green hues across the forest below. As we descended, I could hear the tintinnabulation of voices echoing up through the forest. In time, we would pass several groups of hikers on their own adventure to the summit. Obviously, the trail and hostel are popular destinations for adventure seekers. Michael and I were the first to make it back to camp, and in a matter of minutes we were relaxing in the hot tub. It was a long, well-earned soak; I stayed for more than an hour watching the ocean and the wind in the trees. It was after sunset when the first of our group retired for the evening, but it was well past midnight when the last of us was ready for bed. We scattered the coals in the fire pit and retired to the tents. 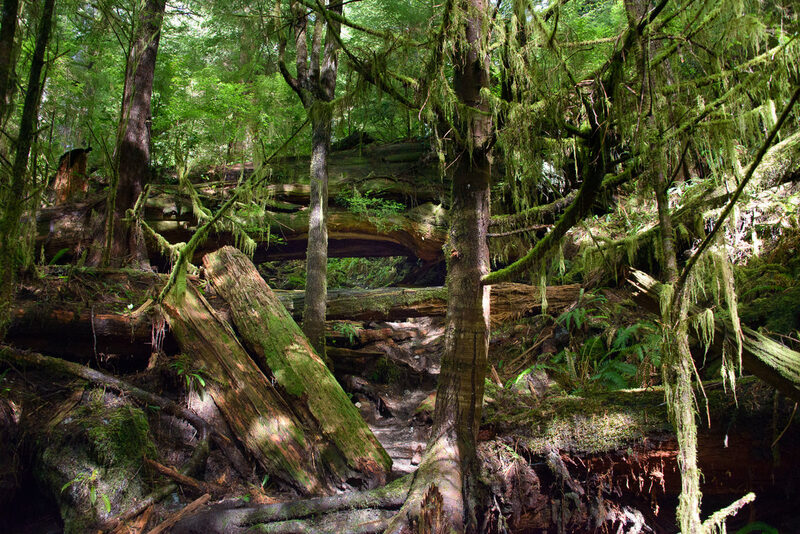 the ever changing landscape of the west coast rainforest. The dim early morning light leaked into my tent, waking me. For a while, I lay under my sleeping bag trying to get back to sleep, but I soon gave up and decided to pack instead. 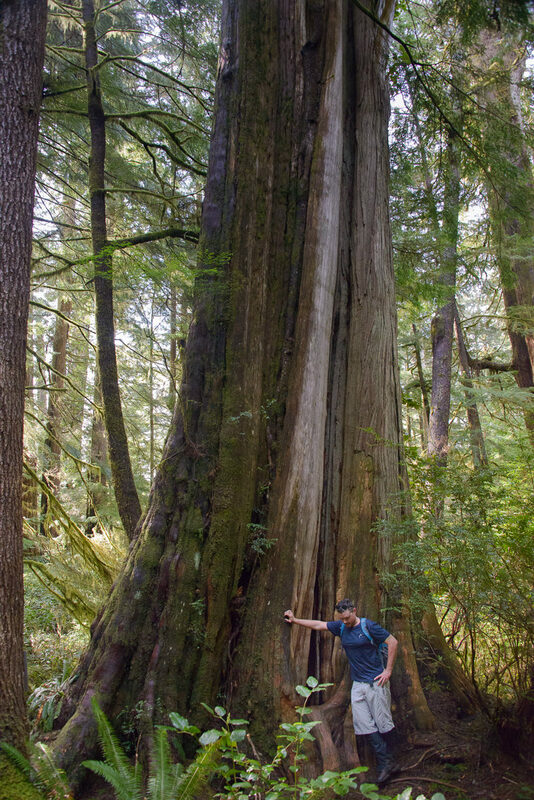 I was eager for the second part of our trip: a hike around Big Tree Trail, a short loop through the old-growth forest of Meares Island, and then the trip home. 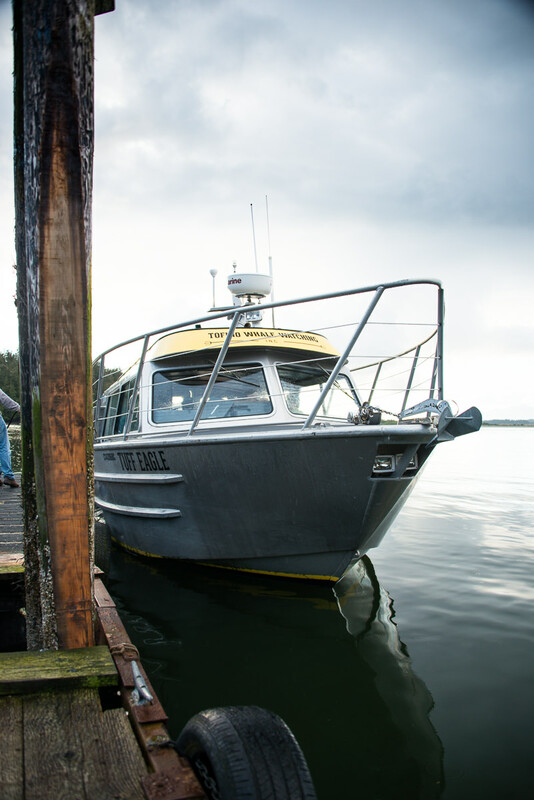 We loaded the boat around 9:00 am, and within 20 minutes we were dropped off on a skinny dock on the east arm of Meares Island. While our trip up Lone Cone Mountain was mostly dry once we rose above 100 metres, this route doesn’t gain elevation, and in many places it’s muddy. The first third of the trail is on hand-spliced cedar boardwalk. 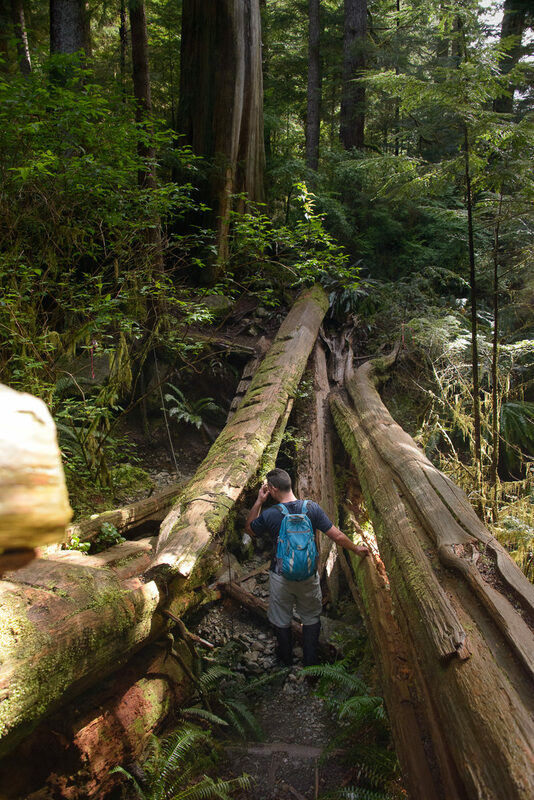 The long cedar planks sit atop narrow timbers just above the forest floor. 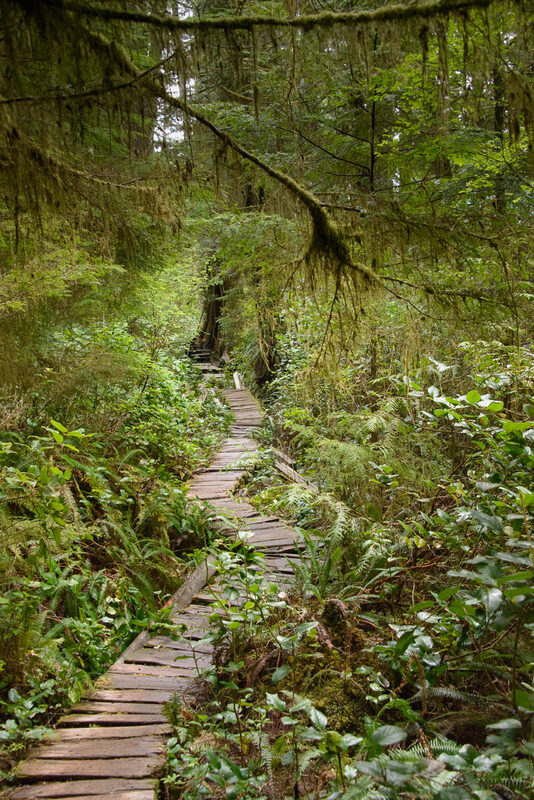 It’s nearly impossible to step off the boardwalk, because the forest is so dense. The boardwalk acted as a guide, routeing us past large trees, salal, cedars, and more types of moss than I could even begin to count. 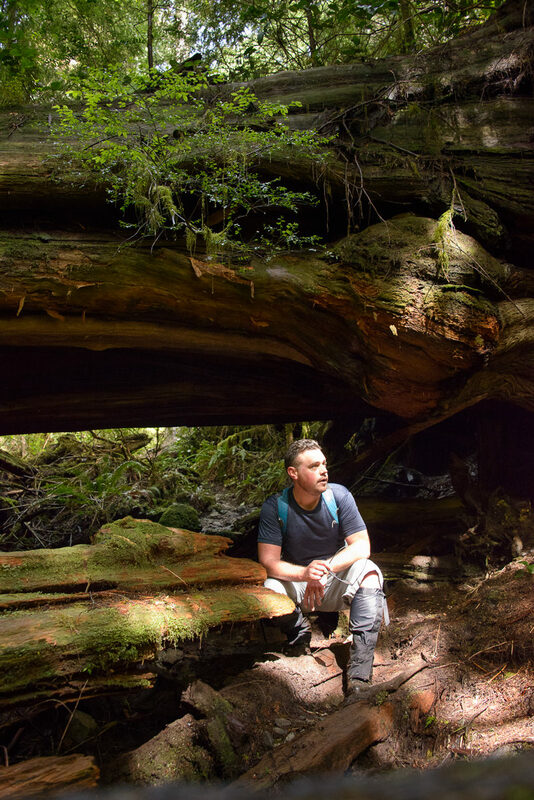 The largest of the big cedars had signs naming them, such as the Tree of Life. Eventually the boardwalk gave way to muddy trail, marked with flags. After slogging through the mud for a short distance, we came to a sign reading: ENDS –my favourite part of the trail. It’s unclear to me what ends, or who Ends is, but in any case, the trail continues on through the mud. It’s well beyond the ends where the beauty of the trail is tucked away. The flagged route kept us on track as it guided us through the verdant forest. The volunteers who maintain this trail have done great work to develop the region. Despite being in the middle of a rainforest, we were able to follow the obvious path without fighting the bush. 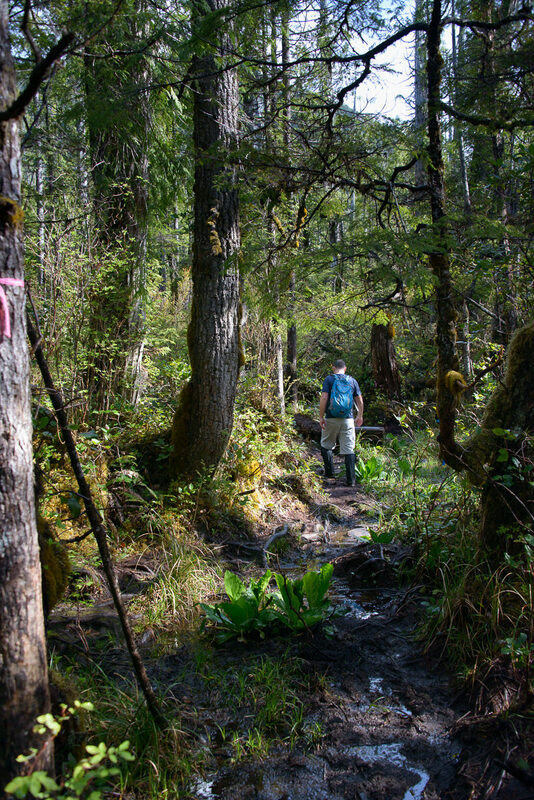 Eventually, we found that we were following the old Tofino waterline (now broken) as it parallels the audible but invisible coastline around this small section of the island. As we approached the final third of the trail, we had an opportunity to visit the beach. I suggested to the group that we wait on the beach in the sun, rather than waiting at the end of the loop. It was a great decision! For the next hour we explored the rocky beach and played in the soft sand, but most importantly we soaked in the warm rays of the sun. It was just enough to ward off the cool breeze that gusted between the coastal islands. 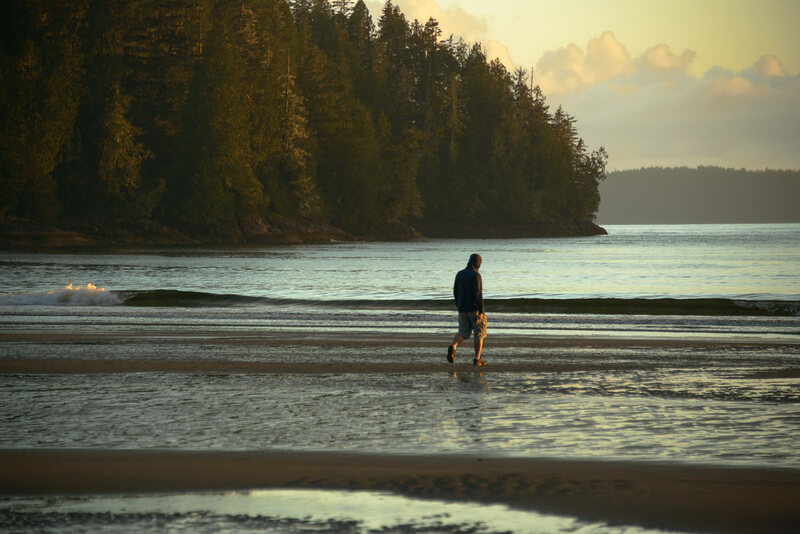 Only after everyone rendezvoused on the beach as a big group did we continue on to the final leg of the trail back to the launch, and then after a short wait, back onto the water taxi that returned us to Tofino. 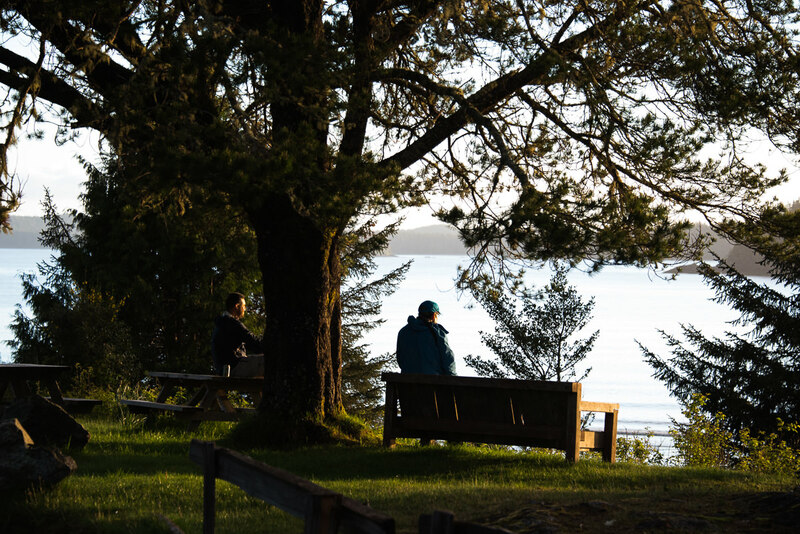 Whether you want to go for the day and hike the Lone Cone or Big Cedar Trail, or if you want a relatively simple camping or hostel experience, check out Meares Island. While you’re there, be sure to observe the significance of this place. There are many hand-split planks that make the boardwalk.